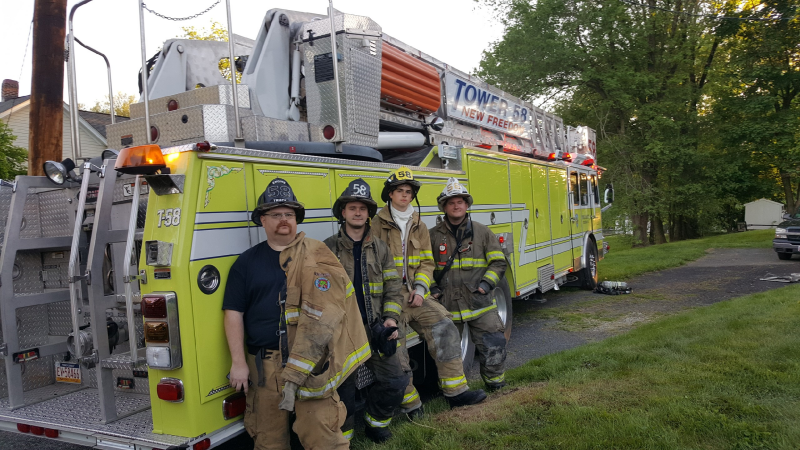 Tower 58 (Deputy Chief Wilhelm) and Engine 58-1 (FF Wilhelm) responded to a working dwelling fire in Parkton, Baltimore County. Units arrived on location with a working fire in a 2.5 story dwelling. 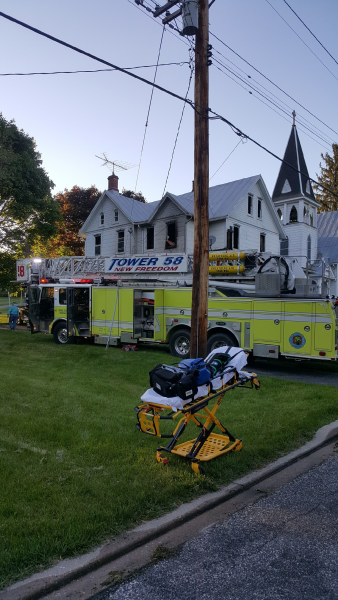 Upon arrival, Tower 58 split its crew, with 2 firefighters laddering all sides of the dwelling, and 2 firefighters opening up for fire attack crews and conducting a primary search on all floors. 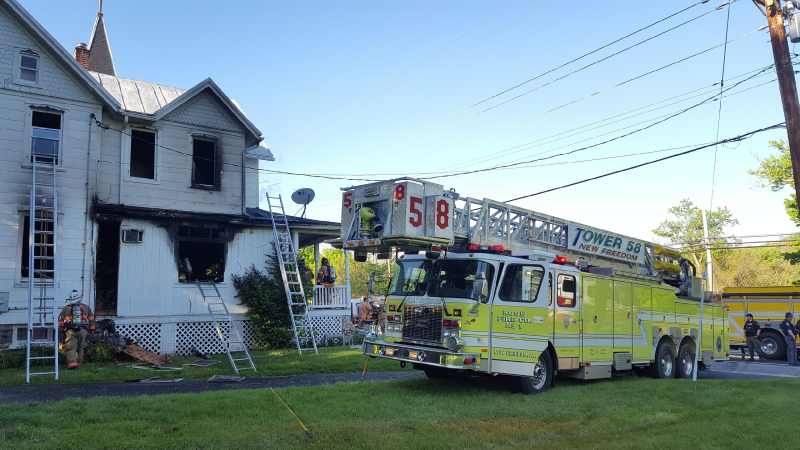 The fire was quickly placed under control and units returned to service.